One of the great things about Hong Kong is that it’s such a busy, bustling, vibrant place, you don’t need to spend money to be entertained. You simply need to go out, walk the streets, and explore daily life to see lots of interesting things. 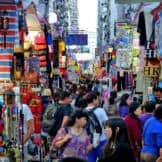 In this article, we give you a walking guide on 10 free things to do in Central, all of which you can see in one day. So put on your comfy shoes, grab your camera, follow our map, and go out and have some free fun! 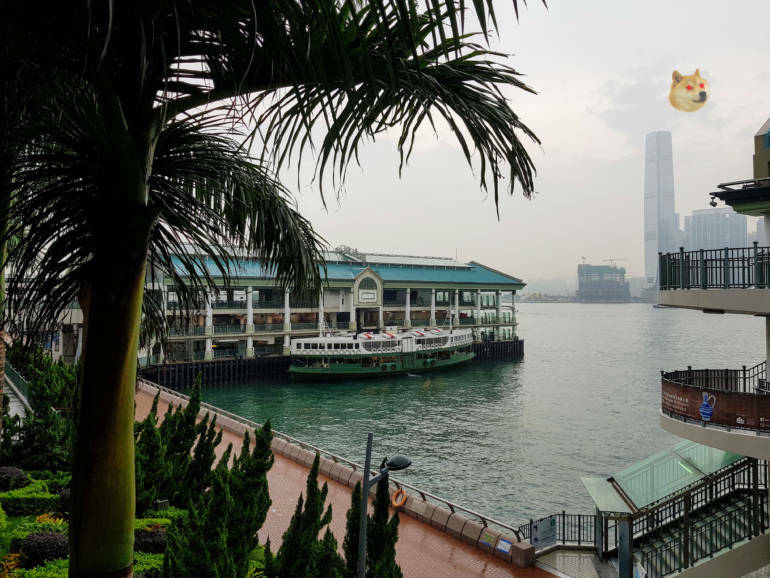 We start at Central Pier 7, the Star Ferry Pier, because nothing beats the view of Victoria Harbour. 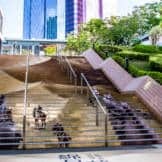 Climb the steps at Pier 7 to access a free public observation deck, where you can smell the sea breeze, and watch the endless flow of ships, including the iconic green Star Ferry puttering its way across the waters. Next, walk along the long elevated walkway, and enter the International Finance Centre (IFC) on your right. 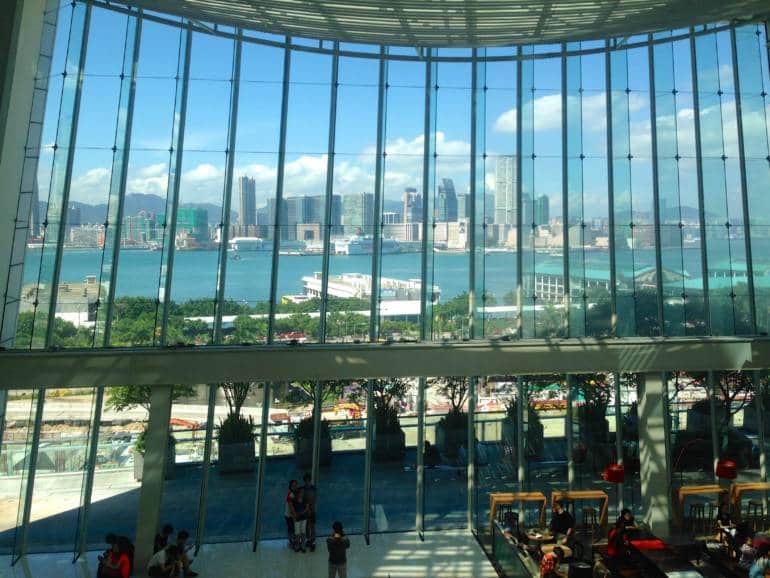 Once Hong Kong’s tallest building, this major mall is an important landmark with a number of outdoor public areas and podium gardens with great views. To get real high, visit the Information Centre of the Hong Kong Monetary Authority on the 55th Floor. The centre is open to the public, and has amazing views of the harbour and the city below, with virtually no tourists. From the IFC, go back to the elevated walkway, and follow it all the way down to Pedder Street. 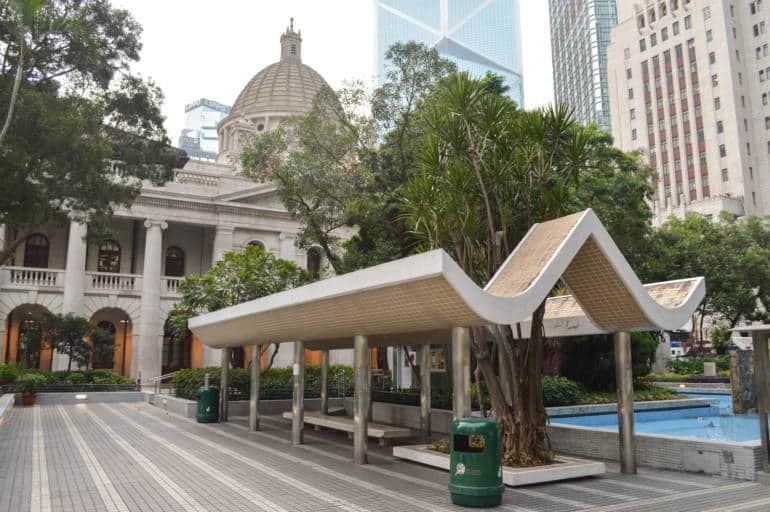 Turn left onto Chater Road, and you’ll reach Statue Square, a lovely pedestrian area next to the Old Supreme Court Building, which dates to 1912. Opposite this is the looming HSBC Building, where you can visit two bronze lions which barely escaped being melted down during World War II, and still have the bullet holes to prove it. 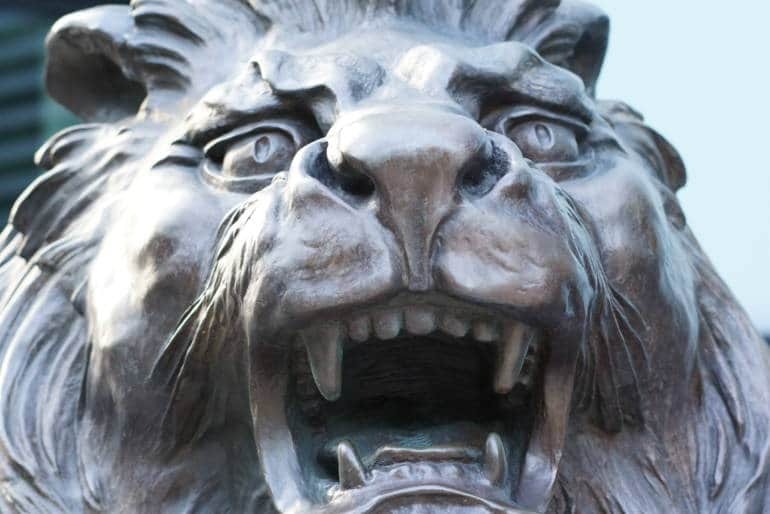 After the lions, walk through the open-air ground floor of the HSBC Building onto Queen’s Road and you’ll see a set of stone steps called Battery Path. Climb these, pass the classical Former French Mission Building, and follow the signs to St. John’s Cathedral. 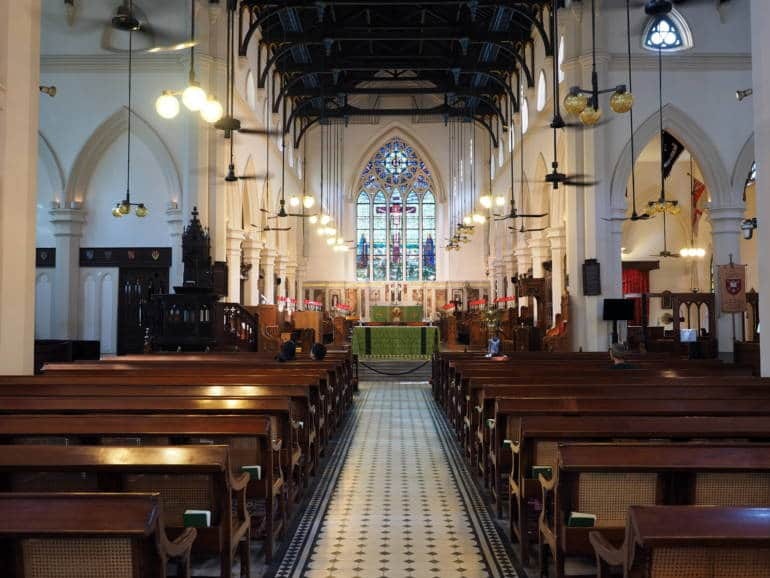 This is the oldest Anglican church in the Far East, having stood for 170 years, with beautiful gothic architecture. On Wednesdays at lunch time, you can hear a free recital by the choir. 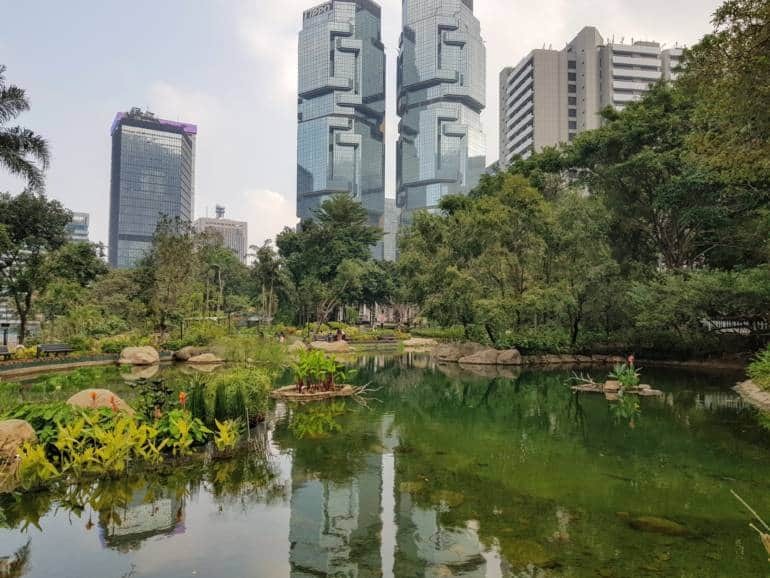 After visiting the Cathedral, go past the Peak Tram Lower Terminus and into Hong Kong Park, a green oasis in the city. 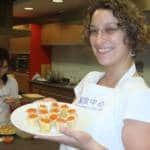 With waterfalls, streams, ponds and cliffs, the Edward Youde Aviary, a Tai Chi garden, and a greenhouse, this is a nice escape from the concrete jungle. The park is also home to the Flagstaff House Museum of Teaware, which has free admission, and tea-tasting sessions. Okay so this is technically not free, but at HK$2.60 it’s pretty close. 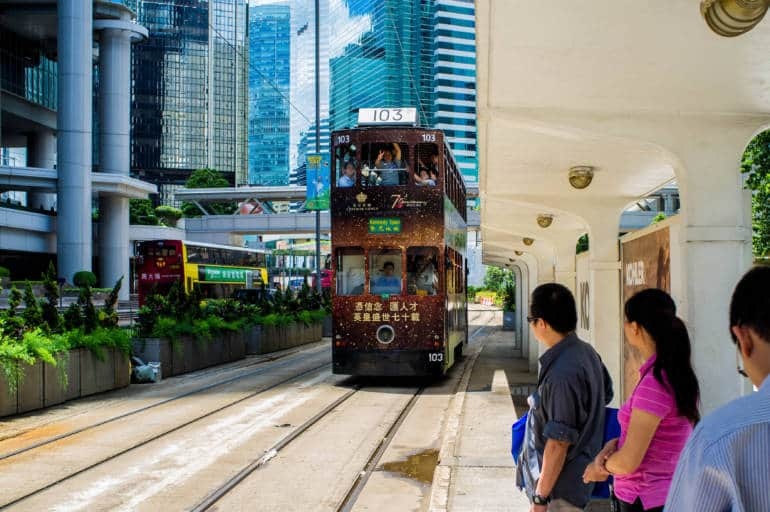 By now you may need a break, so in front of the Museum of Teaware, on Cotton Tree Drive, you can jump on the Hong Kong Tramways. During your short ride on the ‘ding ding’ you’ll pass the Bank of China Tower, the lions at HSBC which you saw earlier, and lots of fancy luxury shops. Get off at Pottinger Street to go to step 7. After you exit the tram, up ahead on your left is the Central Market building, and the beginning of the Mid-Levels Escalator. 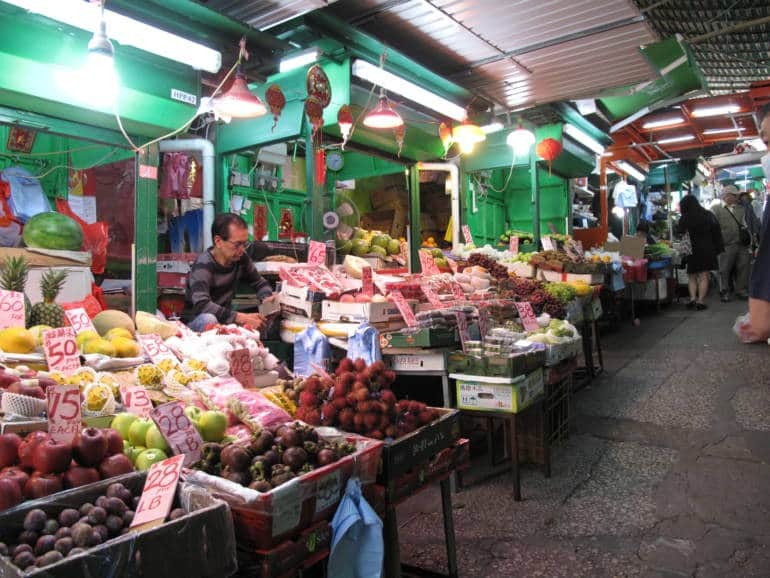 Ride the escalator up to Gage Street, turn right, and you’ll find the old Graham Street wet market, the only one of its kind in Central. Wander around to see vendors selling fresh fruits and veg, butchers chopping slabs of pork, buckets of homemade tofu, and local goods such as salted duck egg. Walking around here is definitely a sensory overload, and we hope you have on closed-toed shoes because wet markets are, well, wet. 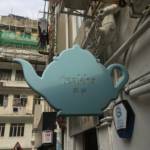 From Gage Street, turn left onto Peel Street, and you’ll hit Hollywood Road, the mecca of everything artsy fartsy on Hong Kong Island. There are galleries galore, and antique shops, but they don’t come cheap. One great shop is G.O.D. (Goods of Desire)—a local brand with funky and unique products that are proudly Hong Kong, like a scarf printed in mahjong tiles, which would make a great souvenir. Further down on Hollywood Road is the small but historic Man Mo Temple. Built in 1847, it is now overshadowed by the high rises and skyscrapers, but holds fast to its roots and traditions. 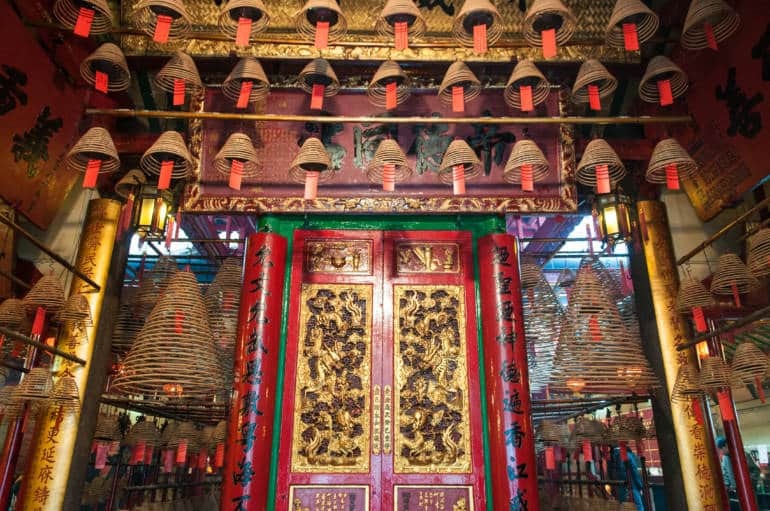 Dedicated to the God of Literature (Man) and the God of War (Mo), this declared monument is famous for its massive coils of incense which hang from the roof, filling the temple with overpowering scents. This incense bath is guaranteed to stay with you for a while. 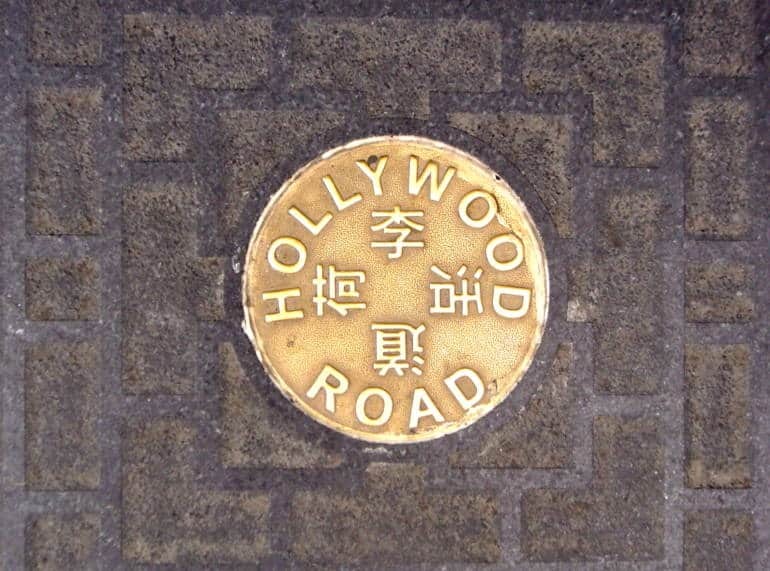 Directly opposite Man Mo Temple is the very pretty Hollywood Road Park; go down the steps and turn left and you’ll reach Upper Lascar Row, also called ‘Cat Street’. 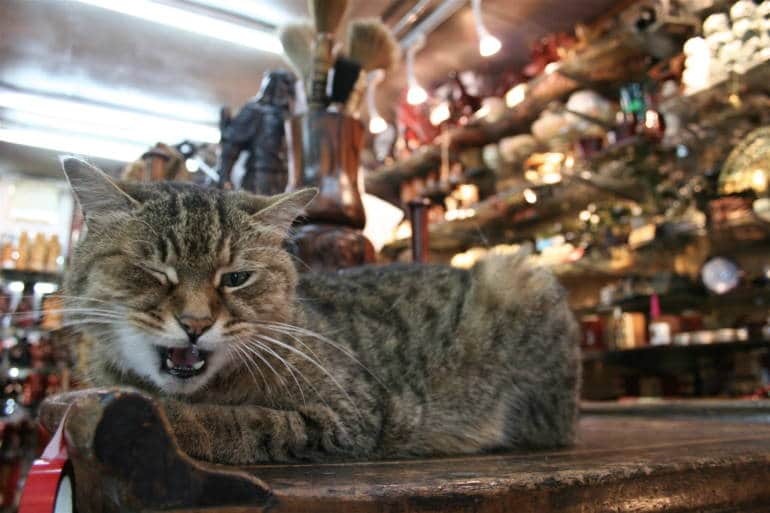 With lots of vendors selling curios like Chairman Mao wristwatches, black and white photos of old Hong Kong, movie posters, hand painted snuff bottles with suggestive pictures, and trinkets to take home, it’s an interesting spot to explore. Prices are, for the most part, negotiable, and be careful about getting ripped off.